Samsung’s Vice Chairman and heir to the throne is in deep trouble it seems. 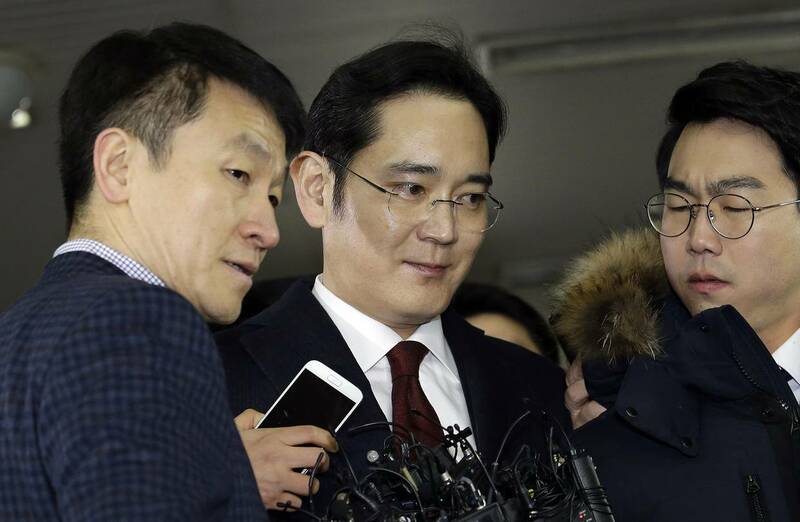 According to a new report that is coming from South Korea, Samsung’s homeland, prosecutors are looking to arrest Mr. Lee Jae-yong (also known as Jay Y. Lee) for paying bribes to Choi Soon-sil. Most of you probably already know why is this happening, as the news regarding the company’s corruption scandal have been circulating all over the internet for a while now. The Galaxy Note 7 fiasco shook up the company quite a bit, and the corruption investigation is not helping them one bit. Prosecutors are actually accusing the company of donating millions of dollars to non-profit organizations, and those organizations are connected to Choi Soon-sil, who is a friend of Park Geun-hye, Samsung’s President. The thing is, Choi Soon-sil is surrounded by controversy, and it seems like prosecutors managed to dig up some dirt in all this, though nothing has been confirmed just yet. What we do know, however, is that the company’s heir has been questioned for 22 hours by prosecutors last week, and it’s hard to believe that the prosecution would seek to arrest him if they did not manage to dig up something illegal, and he was, allegedly, paying bribes to Choi Soon-sil, the report claims those bribes are totaling 43 billion won ($36.42 million). Now, earlier reports accused Mr. Park Geun-hye of donating money through Samsung to non-profit organizations in exchange for government support when it comes to a merger between two Samsung affiliates, so it seems like both of them are involved in this. Now, it is worth mentioning that the company’s vice-chairman was not the only one who South Korean prosecutors questioned last week, heads of both Hyundai and LG were also questioned as the prosecutors are suspecting they were seeking favorable treatment while making payments to Choi Soon-sil’s foundations as well. Mr. Park Geun-hye and Choi Soon-sil have been friends for a long time, and this corruption scandal seems to be a lot more complex than it seemed at first. So, will Mr. Lee Jae-yong get arrested in the end? Well, we still don’t know, the prosecution is definitely requesting it if the report is to be believed, but it remains to be seen what happens. It looks like we’ll be hearing about this corruption scandal for the foreseeable future, as things are getting more complicated every time a new report comes to light.